I think we all need a purpose in life and that could be anything – its the thing or things that get you motivated to get up in the morning and face your day. At the time of my relapse my purpose had evaporated if I’m honest, my daughter had become my carer so I felt that I’d even lost the “Mum role”. Although that was returned pretty quickly as she was being horrendously bullied by a local gang and was unsafe even at home at times. We had windows put through and even a “happy slapping” on the doorstep. And social services weren’t interested in helping as I wasn’t putting her at risk. The school were even more frustrating until I nagged the GP and he wrote to them and pointed out they had teachers off sick with stress, for far less serious reasons. She at just 14, had to cope with the death of her Grandmother, my worsening illness, the bullying and a glandular fever type virus all within a couple of months. We spent huge amounts of the time I could sit up in police stations doing video interviews and goodness knows what else. But I persisted with social services on a daily basis until the poor woman that answered the phones either cracked under the pressure or was fed up with hearing me, not sure which really! And they referred us to Connexions, as fantastic local youth service, who provided Lucy with a brilliant support worker for a year. One of the deputy heads at school also started to realise there were huge issues and took her under his wing. He had an unofficial mission to look after the “misfit” kids and worked with me to organise a flexible timetable, guidance so that I could teach her from home when she really couldn’t cope and he got the school counsellor, youth advisor and Young Carers worker helping her too. After about 6 months she was doing 3 days at school plus home schooling and was very much better, although she never really settled 100%…and on top of all that she was told she was likely to have an autistic spectrum condition too! The interesting thing for me was that she got better exam results etc when I home schooled her part time than when she was in full time school the following year! As I said it was around this time I became a Christian, mainly through my daughter. She went to a local church youth club and the people there had been great too – if I couldn’t cope or needed to get her to an appointment they were more than happy to come and help with lifts or just providing her with a space for time out. Which also gave me the space I needed to get my head around things. I wanted to give her the confidence to go out again and she had been invited to do their Alpha course, so i rang and asked if Mums could go too as I knew she wouldn’t go otherwise. They made me very welcome and we sat with an elderly couple who were brilliant – they even told me how to pray to protect our home and I can honestly say within a few days of that, the problems ceased……..it was almost miraculous and it showed me that there definitely was “Someone Up There” who was willing to help! To say it was a time of insanity and chaos is an understatement. The one thing that kept me sane was doing anything or everything creative. As well as cross stitching, knitting and crochet I learnt how to use paintshop pro via the “tag” groups that were around on MSN. 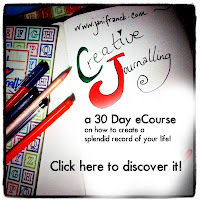 I really enjoyed just taking things and being creative with them. It was an escape from the madness going on around me. I also researched and had a go at all sorts of other crafts from needlelace – bit disastrous! to creating handbags from plaited newspaper – decided not to pursue this due to the great English weather, but it was fun. I even tried sewing machines again when I was starting to improve and could be up and about longer. I was also referred to the pain clinic at around the same time and I distinctly remember a meeting where the staff got a whole group of us together to teach us about the nature of chronic pain and how it could affect the body. It was surreal as I was the most disabled of the whole group, yet the most positive and I sat in silence until the end of the meeting just listening to the despair around me. I chatted to the nurse after, as I knew him from my previous job and we discussed the differences in attitude within the group and it made me realise, far more than ever before just how much despair comes from a diagnosis of long term illness, whatever its cause. But I had no idea how I could help and they’d already told me that I was far too well adjusted for any of the groups they ran…. so I did a year of very slow physio with a fantastic lady who got me walking short distances again. We put together a programme of exercises I could safely do at home and then later in the pool – the theory being falling over in water was the far better option! And I think for months I was the entertainment at the local baths as I tried to regain balance and walk half laps of the slow lane! It worked well, once the carer had medicated all the lifeguards for anxiety lol! It did used to terrify them until they got used to me behaving like a very un-cordinated porpoise! And as I improved I realised I wanted to teach, but had no idea what……. so being me I talked my way into an adult ed “Preparing to Teach in Lifelong Learning Course” to get some qualifications. The idea was that you were either teaching already or had a plan of what you wanted to teach – so I came up with an idea of training health care staff in better ways to work with people with long term illness, but ultimately I had to accept that it would be physically far too demanding for me. However I got alot out of the course, including my qualification and also I think managed to show some members of the group that disability wasn’t the end of the world. For my final assessment I took some real life scenarios and got them to think about the day to day life of a person with a disability and also how that could affect a person in the classroom… it went down really well and at times I think it might be worth thinking about either dusting it off and offering to run it for teachers or developing a series of blog posts exploring the issues I raised, in the hope it will help other creative skills tutors to come alongside learners who for whatever reason are at times more challenging to teach. What do you think? So to sum up this post, which feels as if its rambled somewhat from despair to taking positive action along the way. I think the thing that I learned from all the above, was that it actually doesn’t matter what the impairments you have are, or how unwell you are, you still have a purpose to someone. It might be your child or children, your partner or spouse, your friends or even people you don’t really know who see you “putting on your big girl pants and doing life”. For me faith helps as I know I have someone bigger than any problem I can go to and lean on when it gets tough – and even now life is and can be very tough at times. But the difference is I know that “this too shall pass” and also through other support groups, self help books, the things I’ve learned from the Expert Patient Courses, the support I’ve had from other Christians and from some very good friends who have often walked into the fire with me, I know that I am in charge of my thoughts and my actions far more now. So when I start negatively thinking and feel like I’m being sucked down a drain because of life and its hand grenades I can stop the tape running and do something constructive or creative that will help me “change course” and move on. Hello and welcome to this week’s Handmade Monday. Why not pop over to Handmade Harbour and join in the fun? I’ve recently started to experiment with combining crafting skills, mainly knitting and / or crochet with embroidery to produce art. Every crafter gets to a point where they think “Where do I put my next creation!”…. why not hang it on the wall? My first Canvas was a bit of a happy accident if I’m honest. I’d crocheted a big blue butterfly and had no idea what to do with it. So I pinned it onto a canvas and then decided that it would look less like a biological specimen if I added some foliage. So I used running stitch to embroider on roses and leaves, to lift the design, then securely stitched the butterfly down afterwards. My more recent canvases are more “deliberately designed” so I thought I’d take you through how I get inspired and go on to make them. The initial inspiration for this was a sermon at church. I often end up “doodling” ideas when listening or making word maps as it helps me take in key points. 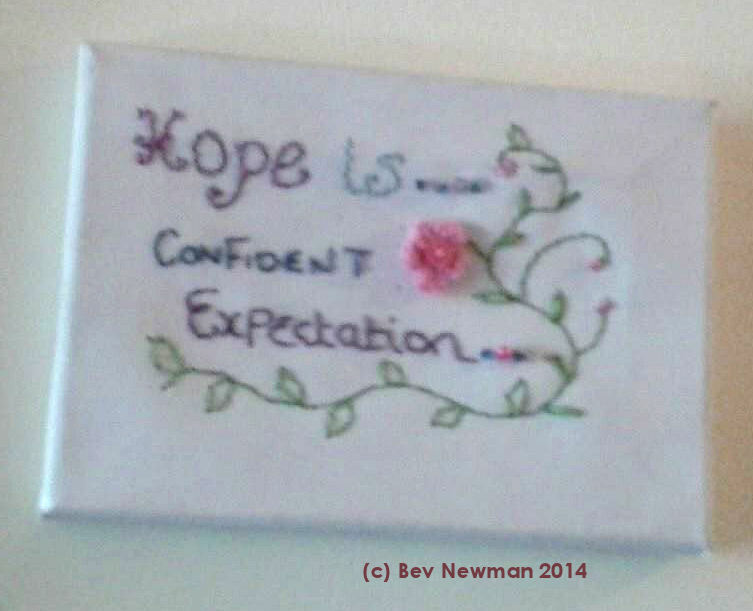 This phrase really spoke to me and made me realise that hope doesn’t need to be a sort of wishy washy wish type word…. it can actually mean if you trust in God or trust in a dream you have and put in the time and effort, your dream / hope will happen….it becomes a certainty or a promise. So I took a doodle, played around with it on paper and then drew straight onto the canvas……..and promptly made a spelling mistake! This is where I found the drawback to working on canvas – you can’t rub anything out without making a mess – so that canvas is now covered in fabric and has been transformed into a wedding gift! I tried again and was really careful to slow down the writing! Next step was to add something to make the canvas look attractive…..I love medieval manuscripts and one feature of many of them is to have a vine with flowers trailing around a page or as a background. I’ve been experimenting with sketching these designs with the idea of developing some crochet or knitted art, so this was a good opportunity to see what I could do. I then crocheted some tiny flowers using 3 strands of embroidery cotton and 0.75mm hook. 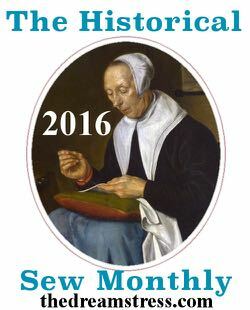 Once the flowers were ready I started on the embroidery, using holbein or double running stitch – you’ll see a theme developing with me, embroidery and running stitch as its the one I’m relatively good at! I then added a few buttons, seed beads and sequins to create the flower centre and little buds on the vine and it was finished. This canvas took me around 3 hours to make from start to finish and I really enjoyed creating it. I have a Pinterest board, full of uplifting quotes, that I discover on my travels around the internet. I collect them simply because they are helpful to focus on when things aren’t going so well. When I made this canvas I was having and still to some extent am having a big crisis within the family and I wanted to create something that helped me feel better and might just help someone else too! I listen to positive music when I’m in the “pit” as it helps lift my mood and that’s why “Keep a Song in Your Heart” became my inspiration….. When I think of singing I think of birdsong, so this was the starting point for the design…. 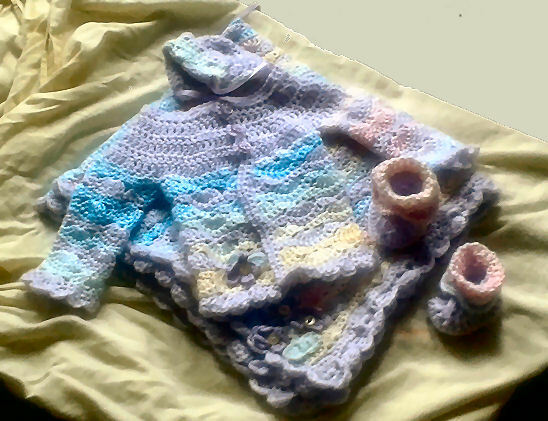 I played around with a selection of crochet cottons and a pattern I’d seen on Pinterest, which was originally 3D. I adapted it to create a motif. I also liked the idea of crocheting a heart to add to the writing and adding a musical note. So once I’d finished the elements, I laid them out and stitched them in place, then worked on the lettering and the musical note. I then embellished the design with beads and sequins. I am aiming to develop the canvases and produce at least two per month for an exhibition in December that I’ve signed up to…. scary stuff!! I also want to see if I can use the canvases to make prints or greeting cards. And also look at buying canvas or perhaps using Aida fabric that is not mounted on a frame to make mixed media book covers and bible covers. 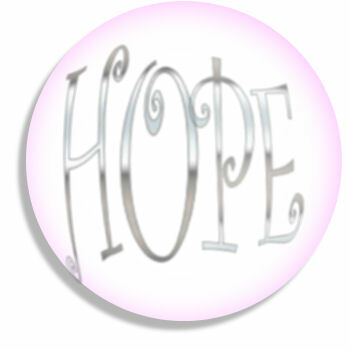 The theme of all the work will be HOPE……..because I feel we live in a world today where we all need a bit of Hope to get us through the day…. My next 2 pieces however are commissions for teacher gifts……so I’ll see what I can come up with. Have sent my friend off to do her “homework” and find out what the teachers are particularly interested in, so I can design a canvas that has meaning. When I first started this blog I ran a series of posts about Hope – I knew it was a theme I wanted to use in my work but had no idea how. I was also totally oblivious to the fact that some of the work I was already doing was giving people a sense of hope in their lives. 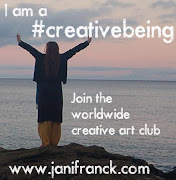 I knew that working creatively had had a positive impact on me at a time when the future was very uncertain but was really unsure about sharing my story too…. In the past few months a series of conversations with people and some business mentoring sessions with Terry at Mums and Business has helped me start to firm up where Hope, both as a concept and a tangible thing fits into the whole ethos of Bits and Bobs Crafts and of course myself as the person behind the business. And as a result I’ve been thinking about how I share the journey to that point and also the onward journey from here as I explore more actively the links between hope and creativity and also for me faith. The faith concept is also something I’ve struggled with knowing how to share. Many people in the creative world come from a pagan perspective of seeing Nature as a Mother Godess type figure, whereas I see the natural world as God’s paintbox, favourite colour green! One of my personal flaws is that I have a strong bent towards people pleasing and so not wanting to offend often means I hide my beliefs away. But its finally clicked that my beliefs are as valid as anyone elses and that I am as entitled to express myself creatively and celebrate the God I put my Hope and Faith in through my work…. I can actually visualise Him sat up in Heaven hanging the flags out and shouting “At Last” in a sort of exasperated joy at this point! For me that means Hope isn’t a sort of nebulous wish, its a certainty. I can put my hope in God though faith and know that He will deliver on what He has promised, in His time… another thing I struggle with, as I often think my time is a much better idea, but tend to discover that waiting was better! I’m not intending this series on Hope to be preachy, but to share how being creative can change situations and perspectives and bring about change in people’s lives. But because my faith is an important part of the journey, I want to feel able to express it where it feels right to do so. If it wasn’t for God talking to me when I was at a very low ebb. I was in my late 30’s, had gone from being a Nurse and NHS trainer / project manager to being wheelchair dependent and signed off sick indefinitely due to a condition that causes chronic pain and muscle spasms within 6 months. I’d lived with the pain part for years and it had actually got me the job I had at the time, working for the NHS Expert Patient’s Programme – something that also gave people who felt pretty desperate hope and a future. I worked across Hampshire, the Isle of Wight and occasionally ventured into Dorset and Berkshire, managed a team of 30 volunteer tutors, plus a part time project assistant and a part time admin assistant and organised and ran courses that helped people with long term illness regain some control over their lives. And when I had this massive deterioration there were many times when without the things I’d learned from the groups, I would have probably totally given up. My brain was willing but my body wasn’t, at the time I could cope with sitting for about 2 hours a day so spent ages laid on the sofa or in a reclining chair, just so I didn’t have to be in bed. At around the same time I became a Christian and once the condition was under some degree of control had a full immersion baptism…….which was interesting to say the least with the logistics of getting me in and out of the baptistry! The phrase that kept repeating in my head whenever I asked God what I was going to do wit h my life – I had not been raised to be idle, to say the least! – was “Its in your hands”… with much emphasis on the word hands! I could knit, crochet and cross stitch so felt it meant be creative but had no idea what to do. I started off designing cross stitch patterns but found that they took far too long to make up – I still have the designs though and could dust them off as knitting or crochet patterns thinking about it – and didn’t feel drawn to the idea of producing kits. So I started playing with scrap yarn and testing out various knitting and crochet skills, often using the internet for inspiration. It was something I could do lying down – which was the advice I got from the back to work people I was begging to help me find a job! – and after a while set up a Folksy shop to try to sell my creations. I was also being asked to teach people as I improved and got out a bit more and started making new friends. I found I could do that and enjoyed it. However I didn’t want to teach craft and got the idea of teaching adults to adapt to changes in their lives, did alot of research and a year on, enrolled on a teaching course. But once I’d completed it I realised that what I wanted to do wasn’t physically possible, so a friend suggested putting an ad in Gumtree to offer to teach knitting and crochet on a one to one basis. This worked as it meant I could in the early days charge very little, work at my own pace and start developing my teaching materials…. and I started to realise I had a purpose after all and I wasn’t going to be useless forever…..
I’m going to leave it there for this week…..more to come next Thursday! Welcome to Handmade Monday, if you’d like to see more beautiful work by crafters around the world, pop across to Handmade Harbour and join in! I seem to have hit on a successful design for baby blankets using a dense shell stitch pattern. This is version 1 – with a Violet monogram as the baby is to be named Violet. 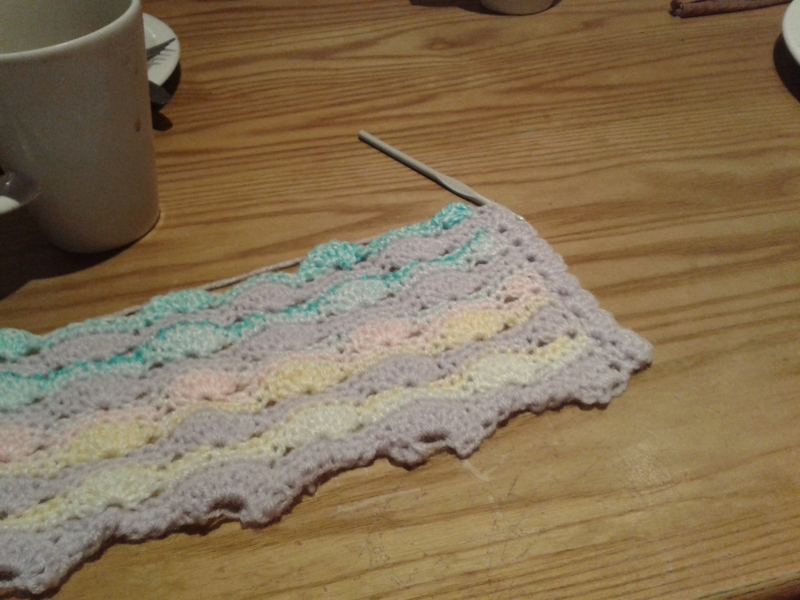 I used a lilac baby yarn, and striped it up with bands of a Robin multicoloured yarn. I did 2 rows in lilac, 2 rows multi, 2 rows lilac, 4 rows multi. I really enjoyed making it once I’d swatched it out and worked out the ideal stitch count and border. I plan to do another to take to fairs and also develop the pattern for sale – this will be my 1st commercial pattern so its a step forward! Having posted version 1 on my personal facebook page, I got an order almost immediately for another blanket, plus if possible a matinee jacket and bootees! However I went to get the yarn and disaster had struck – my local shop had none left and the line was discontinued…. so I had a look through the James C Brett mixed colour yarns and chose one that appeared to have a good colour range and worked a swatch. Initially it didn’t seem to work as well – perhaps because I had the image of captured rainbows the previous blanket had placed in my mind? So I added the border along one side and immediately it helped. I facebooked the image over to the friend I was making it for and she was really happy with the new yarn so I then got cracking! I added the violets and leaves, creating a different look and embroidered the stem on using chain stitch. Once I finished the blanket, I adapted a pattern I had for booties and added the shell pattern as a border and threaded ribbon through the ankle. The matinee jacket was the next challenge and I decided to break the habits of a life time and go for a top down, yoked design as this would make sizing and construction simpler. 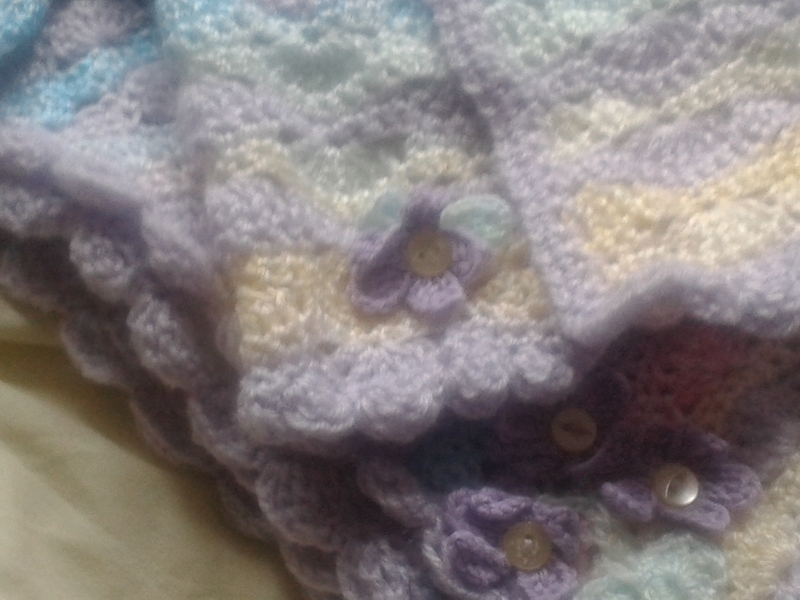 I created a plain lilac yoke, then added in the rainbow yarn for the skirt, following the same pattern as on the blanket. The shell is worked over a 14st pattern, so I definitely know my 7 and 14 times tables now!! I added a violet plus leaves to the jacket as a trim and then added 3 lilac buttons to finish. All the violets have a lemon button for the their centre. This will also be written up as a pattern. I plan to make a second set for fairs too! My current commission couldn’t be more different however – a very fine lace wrap in an asymmetric shell pattern – originally I had in excess of 400 sts and am working with around 80 blocks of shells! I may rework that in a thicker yarn for winter and use that to produce pattern 3…. what do you think?